During 2010, The Kentwood Companies have exceeded the market as a whole as noted in the attached graphs. 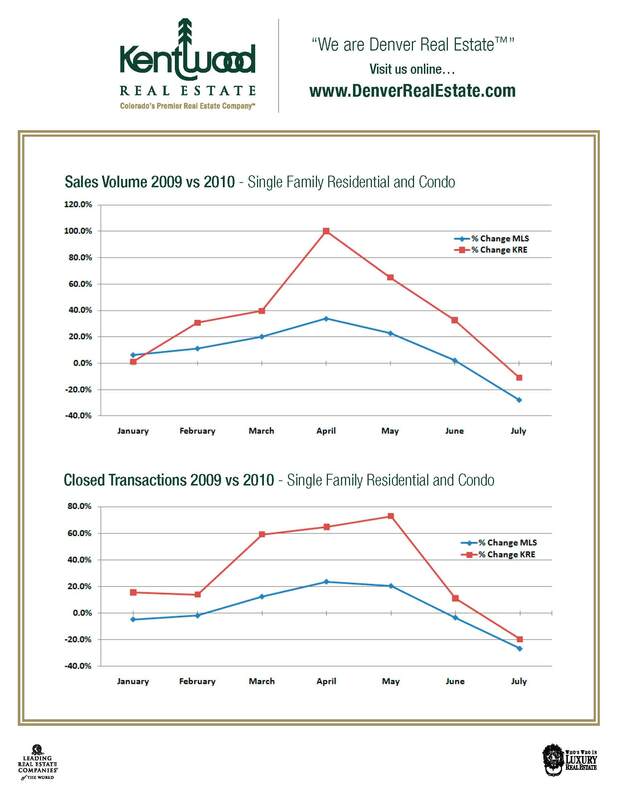 Both in sales volume and number of transactions month by month, the Kentwood Companies have exceeded the historical trend. Although closely aligned with the market, Kentwood is up substantially for 2010 over 2009. We attribute this success to rapidly adjusting to the incentives in the market place such as the Home Buyers Tax Credit, historically low rates and hard work. This entry was posted in Buying or Selling Real Estate, Uncategorized. Bookmark the permalink.